You're in! Check your "promotional" inbox! Dr. Lara Salyer's functional medicine approach is available in personalized visits, group workshops, or online master classes. Ideal for those who crave a practical approach to health and wellness, smarter diagnostic testing, and prefer nutrition and supplements before prescriptions. Look, Ma! My doctor is on YouTube! How is the Functional Medicine approach different? Functional medicine determines HOW and WHY a disease develops and attempts to restore health by addressing the ROOT CAUSES for each individual. I start by viewing your medical history and symptoms through a slightly different perspective than your conventional doctor. I organize your health story using the Functional Matrix, and this allows me to identify key areas of dysfunction and imbalance that can be corrected. Conventional medicine aims to categorize and label your symptoms as a diagnosis, in order to match it to a prescription or rehabilitive treatment. Functional medicine goes upstream to look for causes for your problems and diminish inflammatory influences in your body. My goal is simple: improve quality of life, diminish prescription burden, and teach you what you need to do to remain as healthy as possible. Can I designate Dr. Salyer as my PCP (primary care provider)? Your healthcare is a team effort, and Functional Medicine plays a different position on this "team." My mission is to educate you on your body's signals and help you reach your goals as an ongoing consultant. Typical results are achieved from 3-6 months of dedicated collaboration. I require that all patients retain a primary care provider to handle ordering of important screening tests (like mammograms, colonoscopies, etc). As a consultant, I do not provide urgent/same-day care that might require immediate assistance or hospitalization. If permitted, I'll happily communicate our findings to your PCP to provide a seamless approach to your overall healthcare. Does Dr. Lara accept insurance, Medicaid, or Medicare? Health Innate is an "insurance-free" zone! This gives the greatest liberty to choose your best path to wellness without the restraint of red tape. There's no surprises, hidden costs, or worries about what might not be covered. All prices are transparent. Many patients use their flex plan or HSA account to pay for services with me. I will provide a properly coded ICD-10 visit worksheet and itemized bill so you can submit this for reimbursement. How important are vitamins and supplements in a functional medicine treatment plan? I help you clarify exactly which vitamins or supplements you need (or don't need). While much of your treatment momentum can be gained with customized instructions on food sources and lifestyle changes, many people require temporary (or long term) supplementation based on their unique genetic limitations, digestion inefficiencies, or micronutrient deficiencies. In this case, I'll provide you access to prescription quality supplements through my FullScript dispensary, where I have personally vetted companies that show the highest purity and 3rd party quality certification. Since you are ordering them from my recommended prescription service, you will get discounted pricing from MRSP. However, you should still budget $200-300 for the cost of supplements during the first few months of recovery. What specialty testing does Dr. Lara offer? As a physician who trained in both family practice and functional medicine, I can explain the labs you've already acquired with your primary care doctor in great detail. If you need specialty functional testing to help reach your goals, I have contracted with some amazing companies (Doctor's Data, Great Plains Laboratory, and Labrix) to provide Organic Amino Acid testing, Comprehensive Stool Evaluation, and salivary measurements of cortisol and hormones. All of these tests are done in the comfort of your own home, with the convenience of FedEx shipping labels and containers. I also have access to specialty labs that can order the same blood work offered through your primary care doctor at 1/5 the total cost. You'll simply get your blood drawn at our local Monroe/SSM Clinic Hospital and the kit will be sent by FedEx. I'm not so sure about this yet, is there a way I could "sample" what functional medicine is like? Sign up for the holistic toolkit on the landing page, and you'll automatically get my newsletter updates so you won't miss a thing! "Like" my Facebook Page so you won't miss FREE events and live Facebook broadcasts. Subscribe to my YouTube Channel for useful content you can binge for DAYS! How do I start the enrollment process to work with Dr. Lara? Excited to start?! Wonderful! Motivation is essential for success in any functional treatment plan. However, the magic and synergy comes from our ability to partner together. My style of teaching and delivery of medical care may not be a good fit for some people. This is why I request a 15-minute free Strategy Session before enrolling you as a private patient. Please click HERE and it will send you to my calendar to pick the perfect date and time for us to talk on the phone! Great speaker and excellent sense of humor. Kept my attention the whole time. I'm inspired to learn more. Dr. Salyer's workshops are fun and interactive. You can tell she really enjoys explaining the human body. She makes the information relatable. Dr. Lara is knowledgeable, yet personable. I learned exactly what will motivate me to be more active. Useful takeaway tools too! Dr. Lara is fantastic. Her energy and passion are contagious. I'm so excited to be on this journey to better health with her and the whole team at Health Innate. If you're not sure about Functional Medicine please do the free 15 minute phone consultation, it may just change your life. One of the most innovative functional medicine practices in the country. Love Dr. Salyer's creativity! 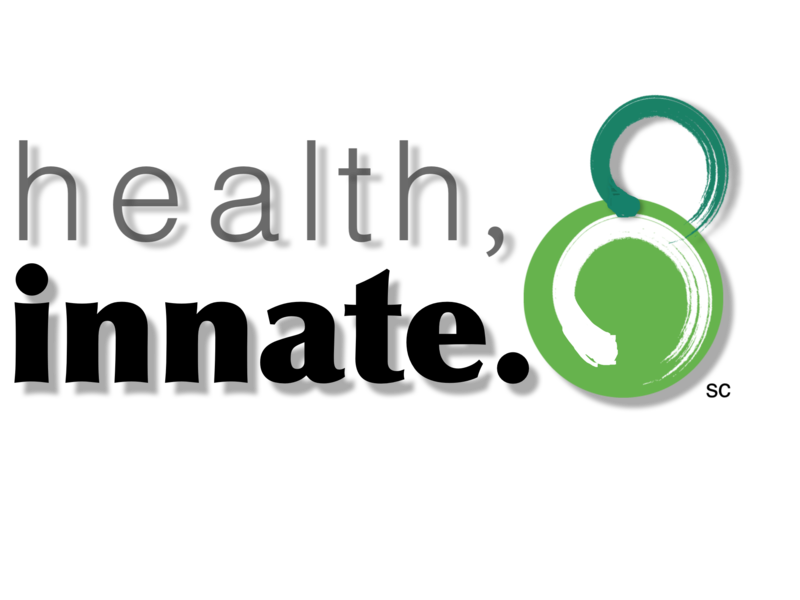 Health Innate is southwestern Wisconsin's first functional medicine clinic, serving Green County and beyond since July 2017. Stop by Dr. Lara's cozy office, nestled in the historic downtown square! Before proceeding to scheduling, please watch this short video.